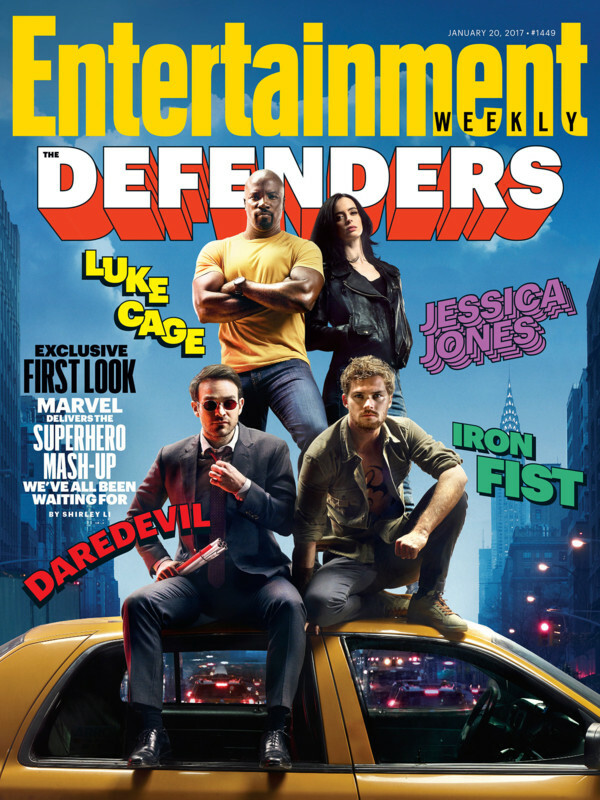 This week's Entertainment Weekly will feature a special first look for the DEFENDERS show, and today the magazine showcased many images, videos and interviews. Lots of hints and slight spoilers ahead! Here's the cover with the four main characters together for the first time! In the feature, it says THE DEFENDERS will come out "summer 2017".